I keep reading about this new trend in cosmetic procedures called microblading and that it can add youth to your years! Can you give me some more information about the procedure? Is this the same as permanent makeup or is it considered a tattoo? Would I need to have hair along the brows to have it done? Who performs it and how long will it last? Thank you for your question. 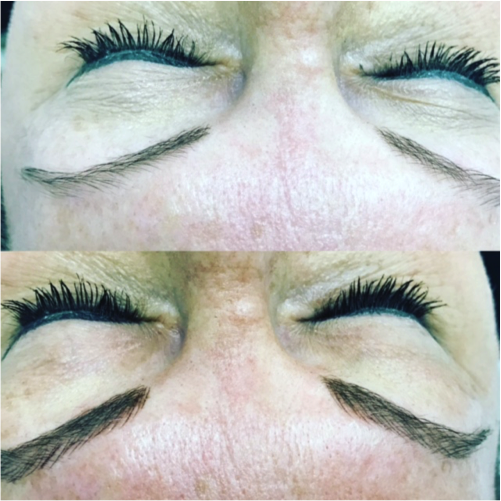 Microblading is a semi-permanent tattoo technique that is used to reshape, define and fill in gaps on the brows. It is a manual process done with a hand-held tool used to insert pigment in to the upper layers of the skin. The area is numbed before the procedure to minimize discomfort. Once the area is numbed, the brow is outlined to create the desired shape. The patient is seen twice in the office for treatment by a medical aesthetician. The first appointment is for the initial procedure followed by the second appointment once the brow is healed for color touch up. There is no down time to microblading although special care is given to the brows as they scab over during the first week. Natural brow hair is not required as the individual strokes used for the procedure mimic that of your own hairs. Touch ups are recommended approximately every 2 years as the color will begin to fade over time.